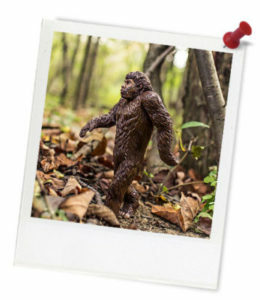 Quick summary: In this activity students explore human evolution by investigating the role that phylogenetic trees play in describing evolutionary relationships. Students will begin by engaging in a class discussion around some of the major developments in human evolution, then work in pairs to create a phylogenetic tree for hominins. Once complete they need to select one group of hominins and create an imaginary Facebook page for an individual from that group. Students understand the trajectory of hominin development. Students understand how to create a phylogenetic tree. Students develop skills in communicating complex scientific subjects. Resources required: Human evolution factsheet, Phylogenetic tree human origins, one copy of the Phylogenetic tree factsheet for each pair of students, Facebook page. Student Worksheet – one copy per student OR computers/tablets to access the online worksheet. Keywords: Evolution, hominin, phylogenetic tree, Facebook. Overarching learning goal: By participating in this lesson students will understand the trajectory of hominin development and will understand how to create a phylogenetic tree. Hot tip: Students can watch the video prior to this activity. However, although we feel it will provide valuable context and information in support of this activity it is not essential to completing this activity. Prior knowledge: Some knowledge of phylogenetic trees would be an advantage. This activity - Phylogenetic Tree - Flipped Classroom - can be used to build knowledge on this topic. In addition, this fact sheet - Phylogenetic tree factsheet - may be useful. Thought starter: Did we really descend from the apes? Preparation: Watch this clip prior to this activity. Why should scientists be careful about making too many judgments about where Homo rudolfensis fits into the story of human evolution at this time?